So Fright Nights returns for its fifteenth year! Overall this year the event was somewhat of a mixed bag. One thing to note is some of the park-wide theming! they seemed to make some effort which is nice. The Big Top has been completely changed this year, and was way better than last year! The maze is everything it should have been last year, its fast, its frenetic, and its pretty fun! The strobe maze in particular was very confusing, leaving our group doing circles for a while. Though the maze was a little light on actors at points, and in some sections a bit of light from outside the tent was let in. Being new for this year, Platform had a lot to live up to. After going through, the maze was IMO a mixed bag if I'd seen one. Now the first half was brilliant, the scripted beginning to actors giving some pretty good scares in the open spaces. Some sections where a little to wide, but actors towards the first half where giving some pretty great scares. Now the tunnel finale was a different story.. Most of the tunnel was spent doing nothing, making a decent portion of the maze boring.. The finale at the end of the tunnel was a good idea, but it was not effective in the slightest, making Platform the most anti climatic maze I've seen in a long time. 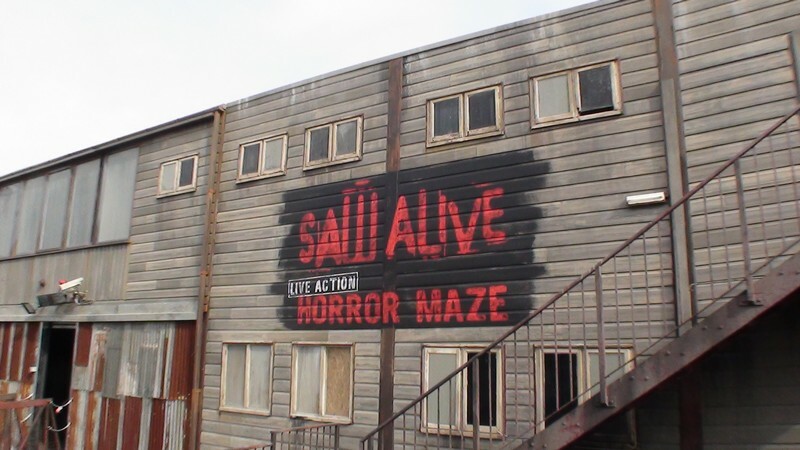 Saw Alive seemed to be crawling with actors on my run through! The attraction seemed to pack more than enough actors, and the scares where pretty great. Though the maze is starting to get very stale, and the maze has a crap ton of problems.. Mainly the scares for one, why would a chained up actor be moving freely? Blair Witch remains the same state that its been in since 2014. The attraction packs a lively cast of actors which seemed to be hiding pretty much anywhere! The finale always packs a punch, and the actors where doing a good job. Cabin is really a attraction that has seemed to declined since 2015..
Cabin back in 2014 was amazing, it was crawling with actors, some actors jumping out from the ceiling! On my run through the attraction was not bad, but it weren't great either.. Overall I think the maze has like Saw/Blair became a little stale. Also the group flow seemed to be a little manic on my run through..
Only saw roamers one time sadly. Overall the EX10 actors where wrecking havoc when we did see them! Though the amount of roamers was very poor TBH, especially like a event as large as fright nights! The event like I said earlier was a massive mixed bag. Big Top was fun, Cabin/Saw/Blair where all very fun too but a little stale. 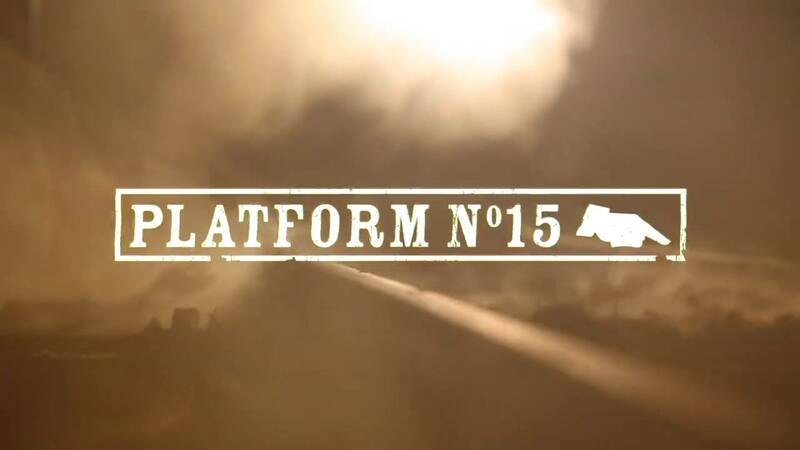 Platform being poor due its long drawn out boring ending. 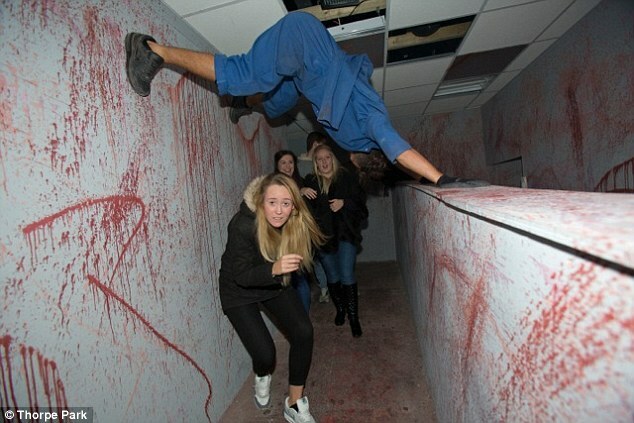 Overall Fright Nights are better than last year IMO, but I still think there is MASSIVE room for improvement..